Rob is a Director and Head of our Residential Conveyancing Department and has over 12 years’ experience in Residential Conveyancing work. Rob has been working in the area since he qualified and has helped thousands of families and individuals with their property needs. Rob qualified as a Solicitor in September 2006, having originally been born and brought up in Neath, in South Wales, but left the town to go to University in Warwick where he studied Law and obtained his LLB (Hons) Degree, and then subsequently took his LPC in the College of Law in Birmingham and started as a trainee at Ellis-Fermor & Negus in September 2004 and, after qualifying in September 2006, has worked in Residential Conveyancing ever since. 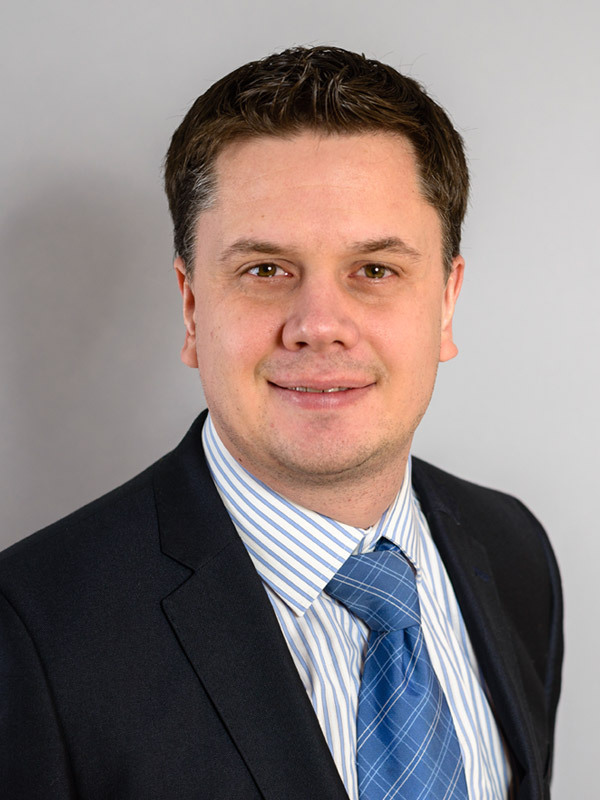 Rob became a Director and Head of the Residential Conveyancing Department in April 2010 and is also the firm’s Senior Responsible Officer (SRO) for our Conveyancing Quality Scheme Accreditation. Rob continues to complete annual professional development courses in Residential Conveyancing to ensure he keeps up-to-date on changes in the law and processes involved. Rob is also an active member of the Lawyers’ Christian Fellowship (LCF) and the Law Society Property Section. Rob is married with two son’s and loves spending time with his family. He and his family enjoy attending their local Church. When he can find the time (and energy!) Rob enjoys playing football and will watch most sports, but particularly football and of course Rugby Union, being a proud Welshman! I have already recommended you to many people. We were so impressed with the care and attention to detail we received. Thank you so much. We loved it that we could phone up and directly speak to Rob, who explained things so well. He was so fast with correspondence and had a great eye for detail. If only all solicitors were as good. Great Receptionists too – so helpful and informative. After dealing with another firm of solicitors, I feel confident in stating that Ellis-Fermor & Negus provide the best in client care and professional service. We would have no hesitation in using your company again. Rob is a genuine, professional and amiable person. The whole transaction has been well communicated and pleasant. Robert was very quick to respond to queries either by phone or e-mail. Postal correspondence and communication in general is outstanding. A completely different experience to using another solicitors in (Beeston) 6 months ago. Robert was, as always, attentive and professional in his work. Thank you. Ellis-Fermor & Negus were excellent and prompt. They communicated with us every step of the way and made a stressful process much better. We would highly recommend this team. You made the whole process as easy as moving house can be! We were first time buyers and relied on your help and advice . Thank you very much for getting us onto the property ladder! Superb communication, prompt replies, put us at ease in a potentially stressful situation. Rob is awesome. We were very pleased with how Robert handled our sale and purchase, answering all our queries promptly. During a few stressful weeks, he was the only person who didn't cause us any stress! Thank you! Very satisfied with the service provided. Mr Meredith was always happy to answer queries by phone and email, and responded quickly in a calm and informative way. Already recommended you to two people. Excellent all round service, we will use you again. Thanks!